Can we take a second to acknowledge something just absolutely crazy? There’s probably something like a million designers out there right now for our potential clients to choose from when they need design work done. Let that sink in for a second. It’s no wonder that all of us occasionally go through dry spells with work. If you think about it, some of our potential clients might be caught in that space trying to figure out who to work with which could be keeping them from working with anyone. Knowing this doesn’t make the quiet times of the year any more comfortable though, and it can leave us second guessing our work and our worth. However, instead of letting a dry inbox drive you crazy, I have a not-so-secret easy way to book more design clients consistently. Ready? Is that what you were expecting? I love utilizing referrals as a way to generate design work because it’s seriously the easiest way to get work. Why? Well…. 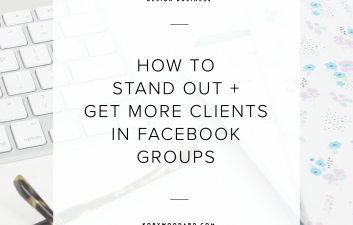 Bonus: their friend might have divulged how much your rates were, which means the potential client already knows whether or not they can afford to work with you. Bottom line: you’re not having to do nearly as much of the hard-sell marketing work to get people interested in working with you and inquiring about their project. But the question is how the heck can I generate more referrals? Did anyone else just break out in a cold sweat? Straight up asking for referrals is probably the most nerve-racking thing you can do, but it can really benefit your business. Krista and I talked about this on our podcast, and we shared that the key here is that you’re not asking in a way that sounds like you’re begging or desperate for work. Instead, try to fit your “ask” into an appropriate part of your project or follow up so that it’s a lot more natural. 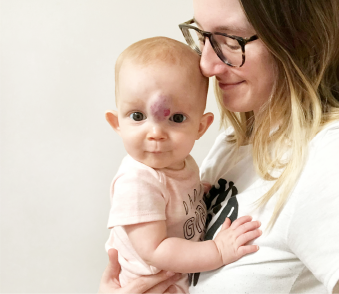 We’re at the end of our project together, and although I’m sad, I’m so thrilled to see everything come to life for your brand. It’s truly been a pleasure to work with you, and I hope you’re as happy with everything as I am. Since I enjoyed your project so much, I wanted to see if you knew anyone who might be looking for a similar project that you could refer me for. I have a few openings in my calendar, and I would love to fill them with more projects similar to yours. If you need anything else in the future, don’t hesitate to reach out. I’d be happy to help you! Of course if you include any other information in your wrap up / follow up email, you would include that, too, but doesn’t that seem like a doable way to ask for a referral? If you’re not super comfortable with straight up asking, the one thing you can do to help generate more referrals is to make sure that you’re impressing your clients while you’re working with them. It’s all about making sure that your clients have a great experience while working with you because that’s going to make them go out and want to tell all of their friends to hire you! 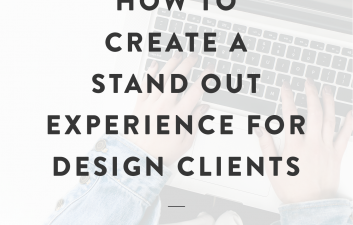 I talked a little bit about how you can create a stand out experience a couple of weeks ago, but it all comes down to being professional, organized, and overdelivering for your client. 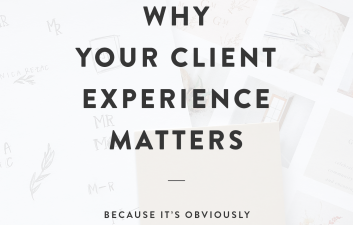 You know when things with clients get a little messy, so if you’ve been feeling that lately, take some time between projects to refine your overall client experience. 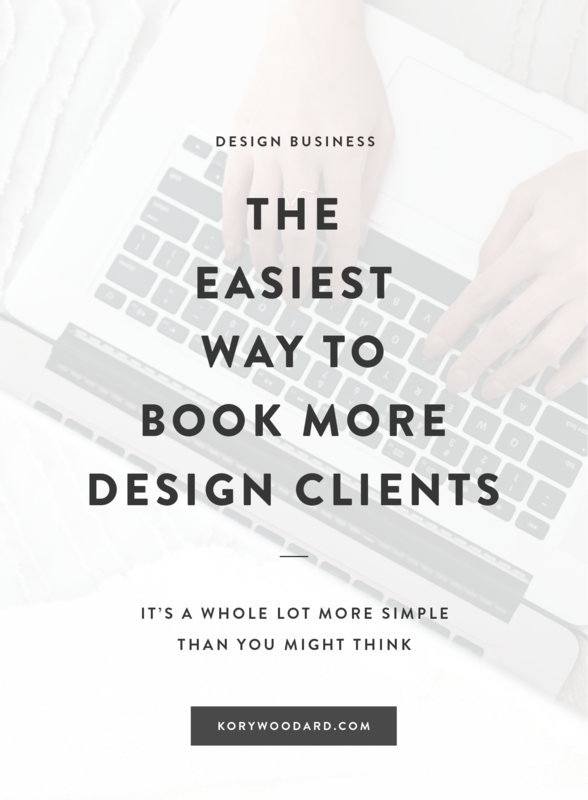 You’ll end up feeling a lot more confident when you get started with your next client, and you can rest assured that even if you don’t get a referral, you’ll make your clients more likely to come back to you when they need more design work done. 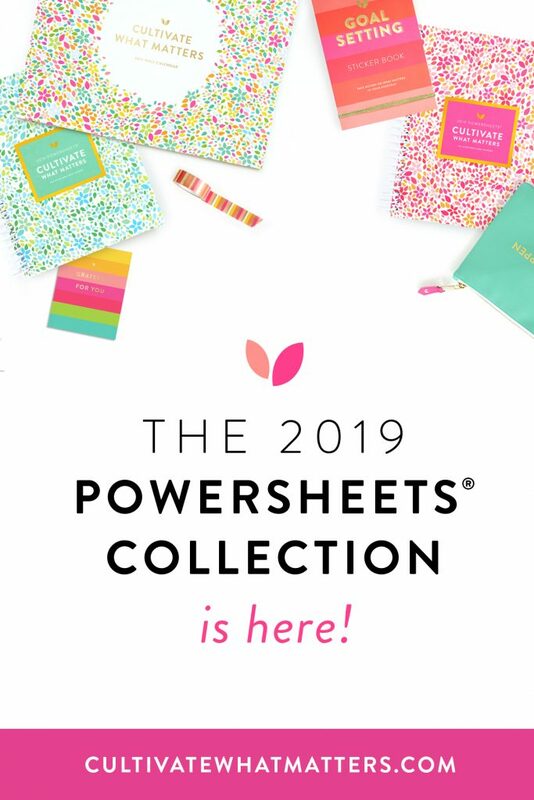 Need help wowing your clients? If you know your client experience needs a little help, but you’re not sure where to start, check out my 5-day workshop: Wow Your Clients. During the workshop we’ll focus on strategizing and refining your client experience from the second a potential client lands on your website all the way until you’re following up after the project is over. I cover every step in between so you know that your clients are getting an incredible experience from the beginning to even after their project is over. The workshop runs July 23 – 27th, 2018, and it includes daily videos, actionable worksheets, resources specifically for design businesses, and live Q&A’s where you can ask me anything about running a design business. 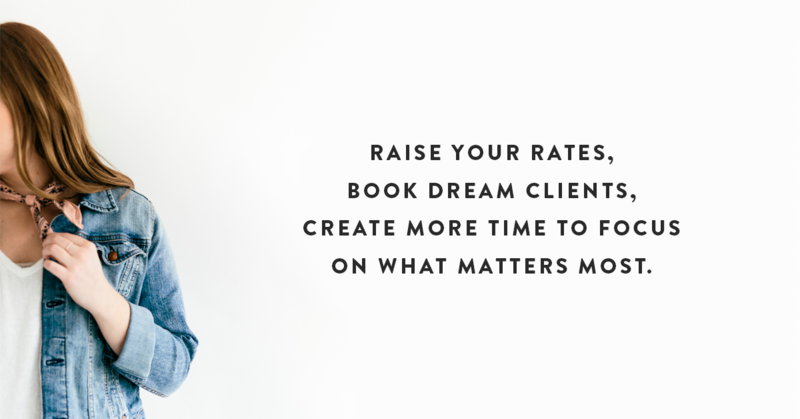 If you’re ready to wow your clients, it’s time to join us! Click the button below to learn more and register for just $47!